Event based targeting is becoming extremely popular among digital marketers, mainly because it gives you an opportunity to have a presence at the event, even without a physically being there. But event targeting is not a one-size fits all strategy. Depending on what is capturing event attendees’ attention, different digital tools should be utilized to effectively market your business. 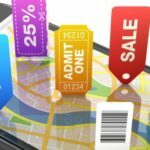 Targeting concerts, auto shows, or festivals? Go social. Think about how the person at the event is engaging online. Are they uploading pictures to social media, checking in online with friends, or posting a status of what they are doing? Then target them with newsfeed ads on social media like Facebook or Instagram with calls to action like “call now,” “get directions,” “message,” or “learn more.” During more socially driven events, people aren’t just browsing online, so you have to reach them where they are posting. 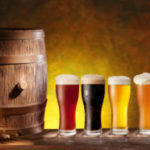 Targeting a work convention, or vendors at a show? Go IP. Work conventions tend to have laptop bound professionals who are hopping on the free wifi to get online. With IP Targeting you can reach these people through the convention’s IP addresses or through the IPs of surrounding hotels and serve them an ad whenever they are browsing online. Is targeting people post event important? Go Mobile Conquesting. With Mobile Conquesting your ads are placed on mobile apps and mobile web browsing sites within the area you want to reach. 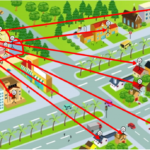 This is done through a process call “geo-fencing” or targeting a specific (often small) target geo, like an event, to try and serve ads to people within the virtual fence. You can then “geo-retarget” those attendees after the event is over and continue to serve them ads on their mobile devices. Event is over? Is there any way you can get back in front of that audience? Yes, with a digital marketing technique called Geo-Framing. Geo-framing goes back in time to previous events where we have captured people’s mobile Device ID’s, mapping those to their homes, and showing them ads now. 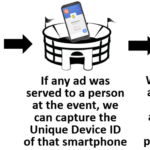 If any ad was served to a person at the event, we can capture the Unique Device ID of that smartphone. It’s important that you only geo-frame an event up to six months in the past otherwise the data becomes compromised as people change their mobile devices and data changes. 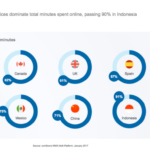 Not all digital marketing techniques are created equal. In order to be the most effective, you must put yourself in the attendees’ shoes and think about how you would interact with the internet, then target them accordingly.